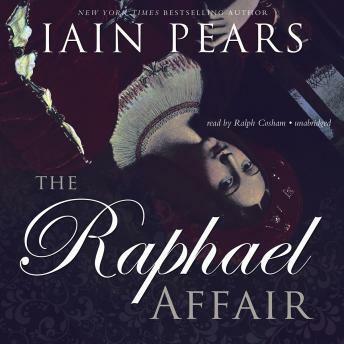 Set in Rome, The Raphael Affair features the perpetually beset General Bottando of the Italian National Art Theft Squad; his glamorous assistant, Flavia di Stefano; and Jonathan Argyll, a British art historian. When Jonathan is arrested for breaking into an obscure church in Rome, he claims that it contains a long-lost Raphael hidden under a painting by Mantini. The painting disappears—then reappears in the hands of the top British art dealer, Edward Byrnes. How has Byrnes found out about the hidden masterpiece, and whom is he acting for? There is also the curious matter of the safety-deposit box full of sketches closely resembling features of the newly discovered painting. A hideous act of vandalism occurs, then murder. Bottando faces the most critical challenge of his career, and Jonathan and Flavia find themselves in unexpected danger.